As the holidays are approaching, we’ve already told you where you can find the coolest robot gifts for the robot-loving people in your lives. If you’re looking for some ideas on what to get for your photographer friends and family, look no further. We’ve come up with a list of reasonably priced gifts, all available for under $100. With everything from accessories to jazz up your camera to a gift for a photographer who’s a new parent – there’s a little something in here for everyone. 500px has been one of the rising stars of 2011 among photographers, and while at $50 its annual subscription is more expensive than Flickr’s, it seems that a lot of photographers are migrating over to the sleek photo sharing service. 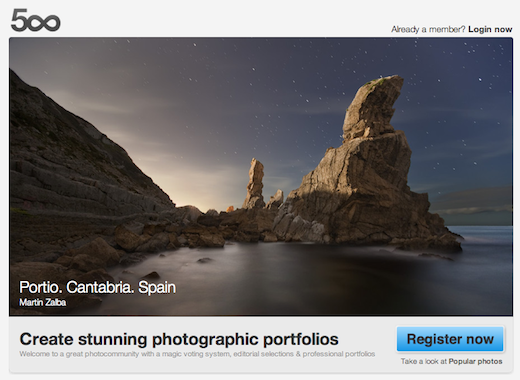 As 500px put it, you can give the gift of awesome, or in other words, upgrade their account to pro. With a pro account they’ll get to use a custom domain, get unlimited storage space, a premium portfolio and more. Have a friend or relative who is a coffee-loving photographer? 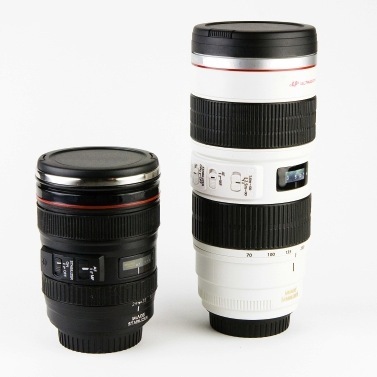 Then you really don’t have to look any further than Photojojo’s Canon Camera Lens Mug. A hot item in the store, you can opt for the 24-105mm black lens for $24, or if you need a little bit more, there’s the white 70-200mm mug for $30. Now all they have to do is make sure they don’t get their mugs and lenses mixed up. If you’re in the mood for something a little stronger, you could always ditch the lens mugs and go for the shot glasses instead. 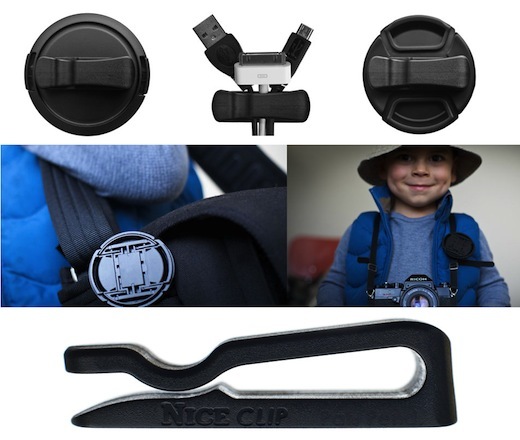 The Nice Clip is a great little gift for the absent-minded photographer. If you know someone who is always putting down their lens cap while shooting, only to forget where they left it – the Nice Clip is a great little stocking stuffer. Permanently attached to the lens cap, you can use the clip to attach your lens cover to your shirt, cap, camera bag strap – pretty much anywhere you can put a clip. Funded by Kickstarter, the Nice Clip will set you back only $9.95 for one clip. You can also get a pack of 3 for $27 or 5 for $45. PetaPixel is not only one of the best photography blogs to follow out there, there’s also a little store on the site with some pretty cool photographer paraphernalia. It was hard to choose just one from the small collection, but in light of all the attacks that photographers have come under in the US and beyond, as the Occupy Movement has taken off, keeping a card listing a photographer’s rights seems pretty handy. While the cards will only cost you $9, you can create your own cards with the list made available by PetaPixel here. Blink Camera Lens Caps aren’t available just yet, but if you’re looking for a unique gift for the photographer in your life, you could always contribute to the fundraising efforts in their name. Contributing just $25 will get you one 58mm lens cap, a 10 page PDF showing 10 designs that never made it to the final 6 caps, an animated 30K flash banner and gif banner to show your support, and a “big thank you email.” Contribute $50, and you get a t-shirt thrown in. 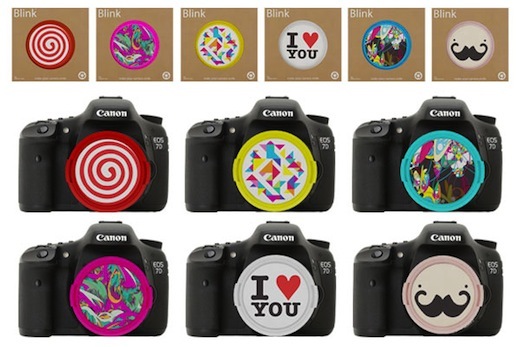 While Blink have a long way to go before they reach their $55,000 goal, the lens caps with the coolest tagline ever, ‘Make your camera smile,’ are definitely deserving of some attention. The colourful and creative lens caps will catch the eye of any photographer, but our personal favourite has to be the mustached lens cap. If you really want to jazz up a camera, you could always get a bright, colourful strap to go with the Blink camera lens cap. 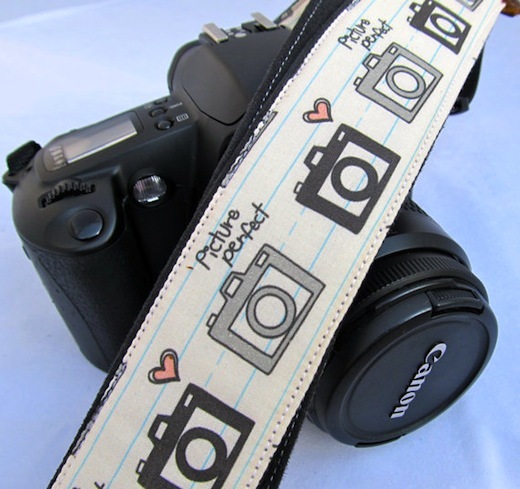 Etsy is a great source for unique SLR camera straps. A couple that really jumped out at us include the $24.99 option from Funky Straps, or if you want something both attractive and functional, there’s also the $28 quilted camera strap with a lens pocket built in, which comes in several different patterns. If function is what matters the most, then for a little extra, the Black Rapid RS-4 camera strap, available for just over $50, is a great and practical gift for a photographer. A photographer you know has just had a baby? Rather than get them a gift, you could just skip right past to baby, and choose from some great onesies available on Etsy. 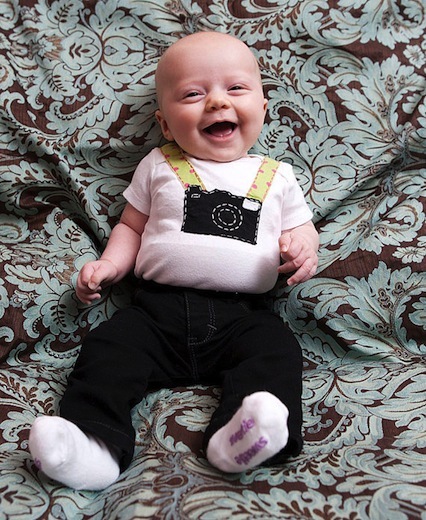 Our favourite has to be the Vintage Camera Onesie, available for $24, followed closely by yet another vintage choice with a TLR camera, available for $14, instead. Did we mention that we’re fans of vintage here at The Next Web? While most photographers would probably prefer to pick out their lenses themselves, there are a few exceptions. If you don’t know which lens they need to add to their collection, you could always get them a creative lens which lets them take their photography out of the box. 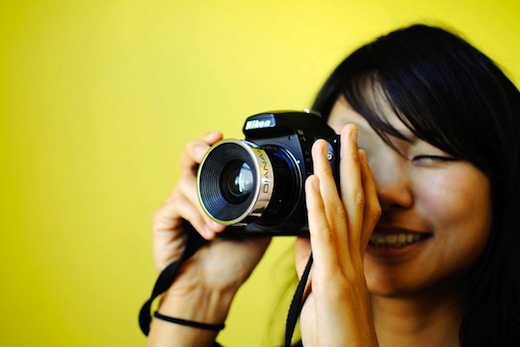 Photojojo’s Dreamy Diana Lens is compatible with both Nikon and Canon DSLRs, and the lens and adapter cost $60. And while you’re back over at Photojojo you might want to look at their entire collection, because each and every item belongs on a photographer’s wishlist. Looking for a decent flash diffuser? 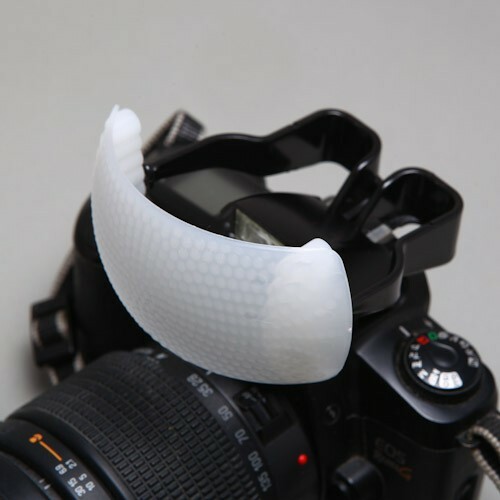 Look no further than the Puffer Pop Up Flash Diffuser. For $21.95, the diffuser is compatible with Canon, Nikon, Pentax, Olympus and Panasonic-Lumix, and will have your photographs looking better than ever, enhancing the quality of light in your photos. Blurb, an online service which has done pretty well for itself, allows you to create a book of your own, and even gives you the opportunity to sell them through its online store. With a Blurb gift card, you’re giving a photographer the chance to see what their own photographs look like in print. Do you have any suggestions for cool gifts for photographers? Let us know in the comments.